The Rick VanMatre Quartet and Quintet are available for concert, festival, and club performances. The ensemble specializes in original works and unique treatments of the standard repertoire. 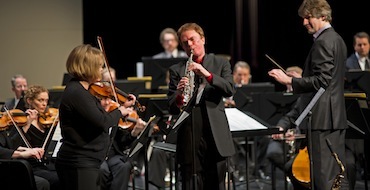 Rick performs as a guest soloist with orchestras, big bands, combos, and chamber musicians. He has cultivated a special relationship with and premiered concerti by composers who combine elements of jazz and classical music such as Frank Proto and Michael Patterson. Sound excerpts available on the LISTEN PAGE. Rick can also coordinate his performances with master classes, workshops and residencies (see TEACHING PAGE). Contact Rick directly via email at info@rickvanmatre.com or by using the form below.